Successfully Added Ordro S12 Fitness Bracelet - Pedometer, Heart rate, Sleep Monitor, Call Reminder, Anti-Lost (Black) to your Shopping Cart. 0.66-Inch OLED display will keep you updated on current health readings. Say hello to a fitter you with help from the Ordro S12 sports fitness band. This stylish bracelet is a heart rate monitor, pedometer, sleep monitor all in one. It's also equipped with blood pressure detection and call reminder so you'll be able to track your health and will never lose your smartphone again. A 0.66 inch OLED display shows all the info you need in an ordered clear display so you can tell at a glance if you have a missed call, received a message or if it is time to work out. The ability to monitor your heart rate as well as count the steps you take will let you set and achieve those fitness goals that were out of reach before. The smartphone app will let you record and store all this data so you can track your health progress and set long-term fitness targets. It's quick and easy to pair this smart bracelet with your phone using Bluetooth connectivity and not only will this notify you of incoming calls but in the event you leave your phone behind you will get an alert as soon as the Bluetooth connection is lost. An IP68 rating protects if from the elements so it's ideal for a workout or use in any weather. 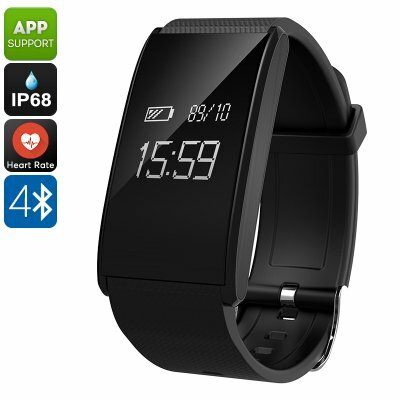 The Ordro S12 Fitness Band comes with a 12 months warranty, brought to you by the leader in electronic devices as well as wholesale sports watches and fitness bracelets..